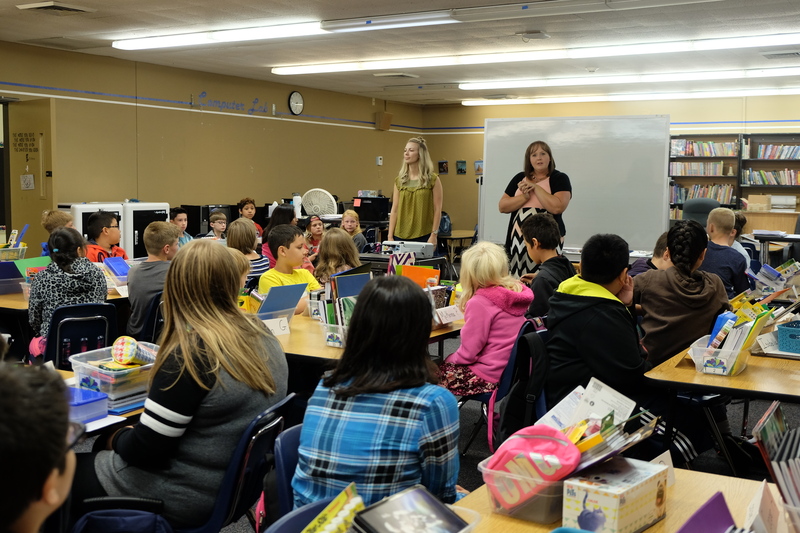 More than 60 fifth-grade students took over the school library at Periwinkle Elementary School this week. The students will use the temporary classroom space until the new modular classrooms are ready in mid-September. 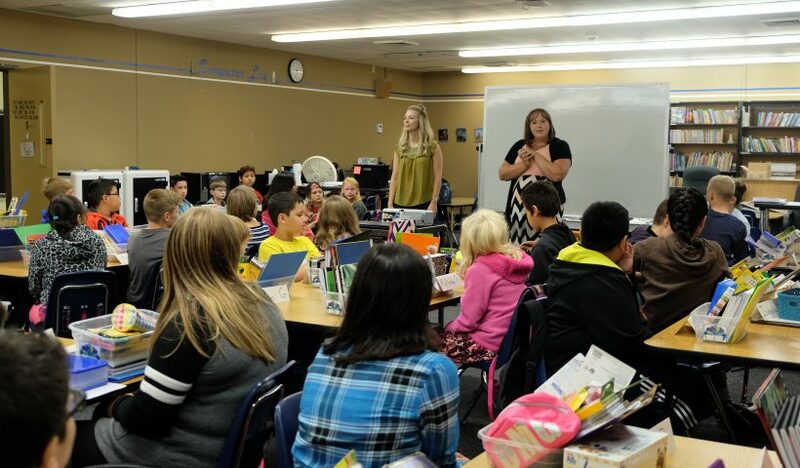 The students from Kristyn Kohler’s (pictured, right) and Mercedes Strowbridge’s classrooms will share the library space and learn as a group until they split up during the move to the new classrooms. The new classroom space is being added at the school because of high enrollment growth in the attendance area.